This entry was posted in Art and tagged Rockefeller Madonna, Sandro Botticelli, Savonarola, Simonetta Vespucci, The Birth of Venus. Bookmark the permalink. Enjoyed this post. 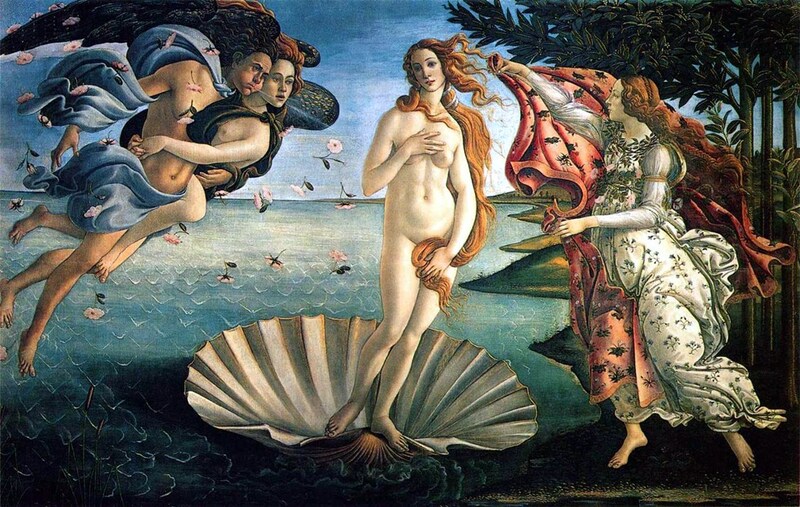 The other interesting thing about this painting is that the poor Venus seems to have dislocated her left shoulder, and perhaps has lost the bones in her left arm. Botticelli seemed to have had a creative view of anatomy. Check out the shoulder in his painting, The Calumny of Apelles. Ing Roman officials. Ouch! The devil is in the details. I believe the medieval artists got it right. That seemed vaguely familiar, but I admit that I didn’t instantly say, “Oh, that’s from Faust.” Thank goodness for search engines, which led me to this quote from Goethe’s greatest work. And thank you, Ron, for taking the time to share it with us.